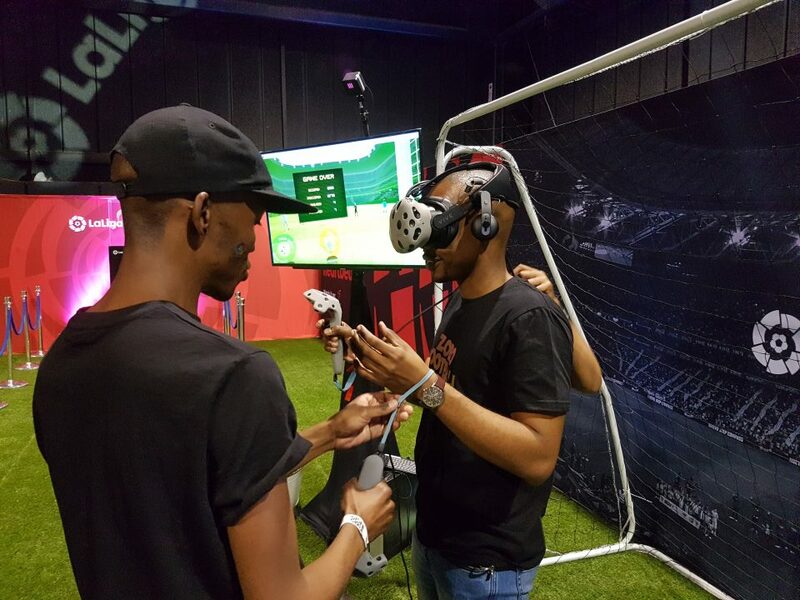 The Virtual Reality South African company is the PREMIERE virtual reality events company in South Africa! 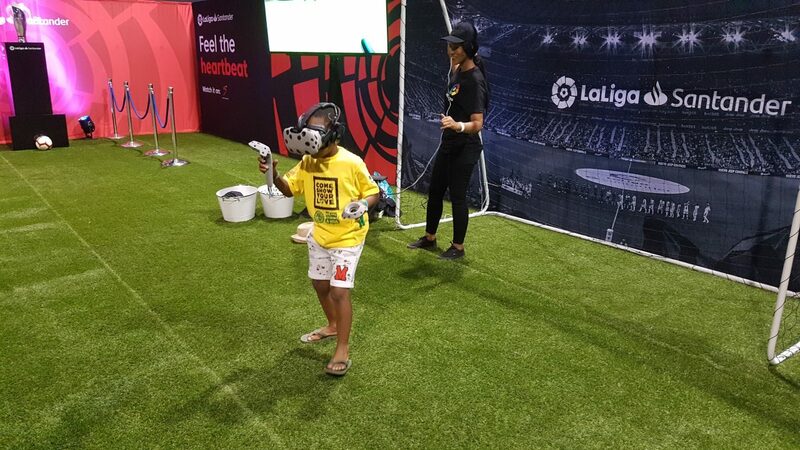 Playing soccer in virtual reality is almost just as much fun as playing it for real! 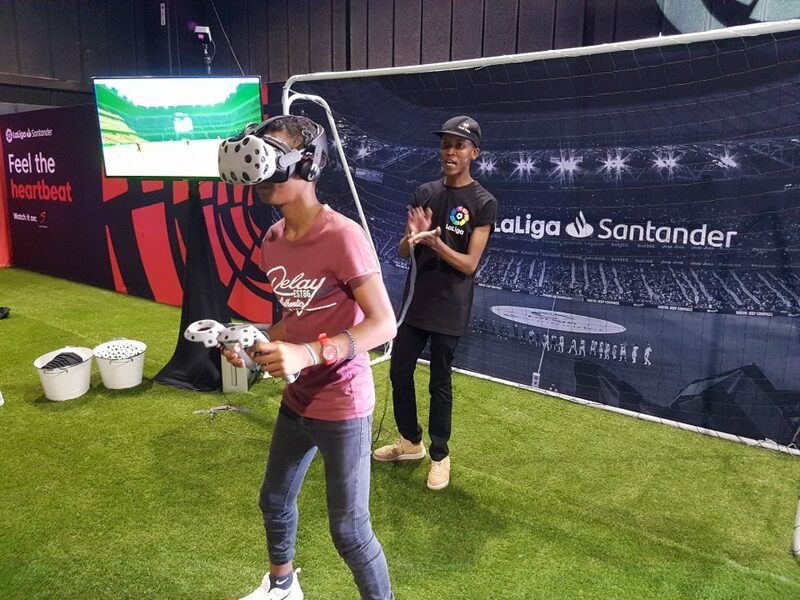 Virtual Reality is one of the most exciting tools exhibitors can use at their events to attract people to their businesses. 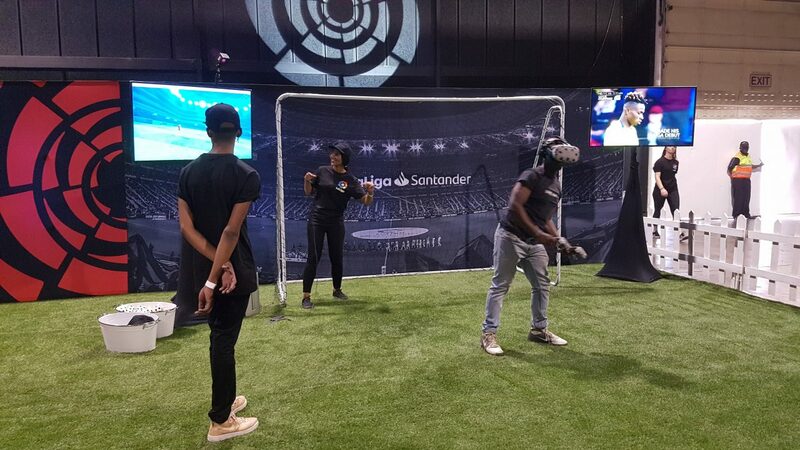 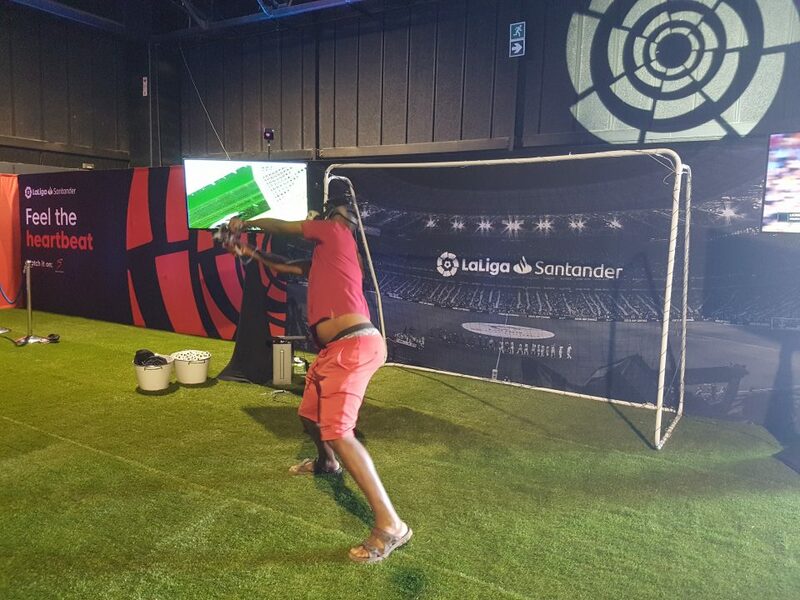 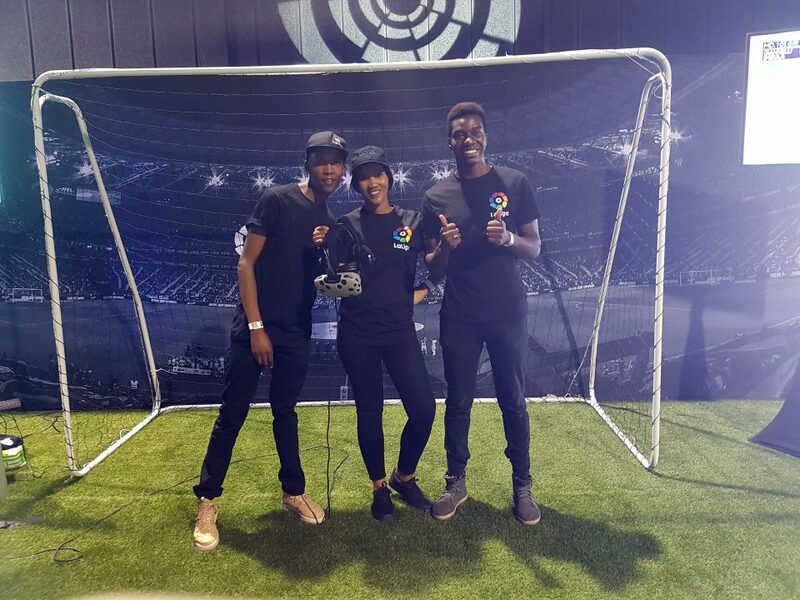 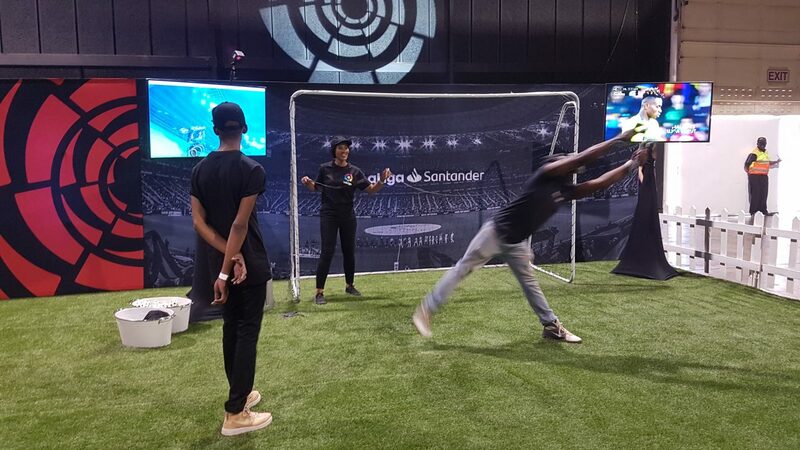 We recently assisted Levergy with one of their activations for La Liga at the Nasrec Convention Centre in Johannesburg South Africa. 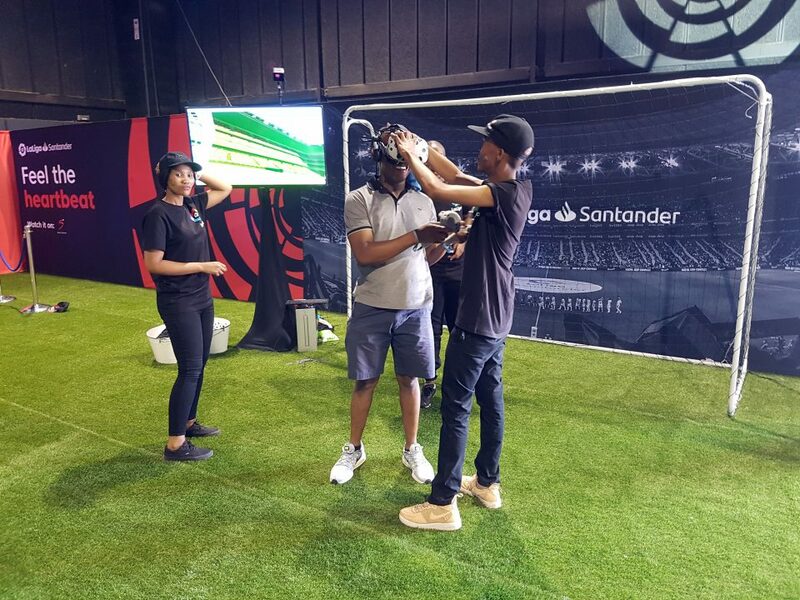 Levergy is the most awarded agency in their industry in recent years, working for some of the world’s biggest brands and have proved time after time, that a Brutally Simple approach not only delivers big, market leading creative ideas, but also generates commercial impact. 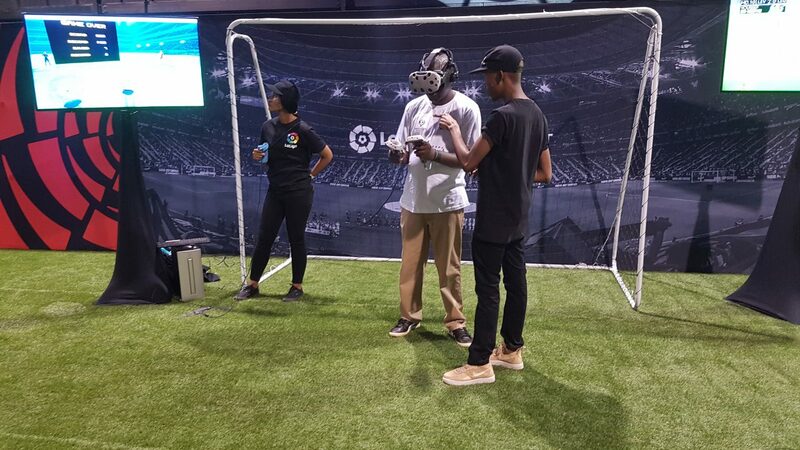 Levergy is a sport and Entertainment Communications agency. 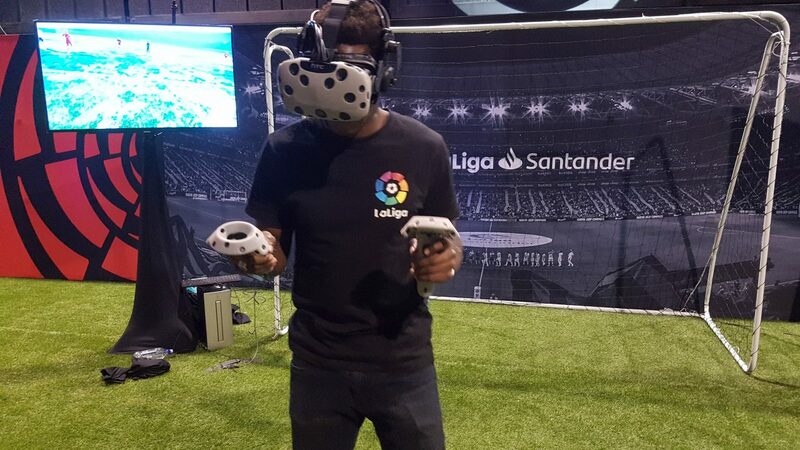 La Liga The Campeonato Nacional de Liga de Primera División, commonly known as La Liga, is the men’s top professional football division of the Spanish football league system. 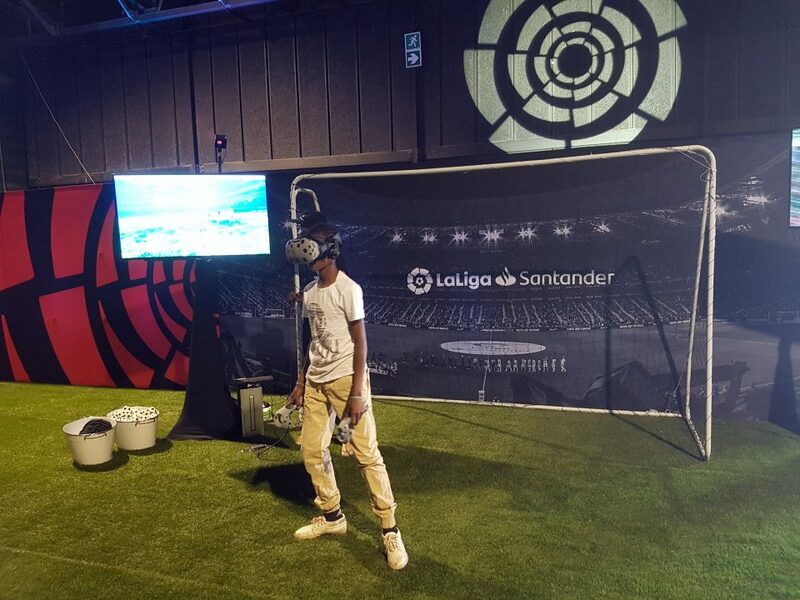 It was an awesome opportunity for us to bring virtual reality to soccer enthusiasts and fans. 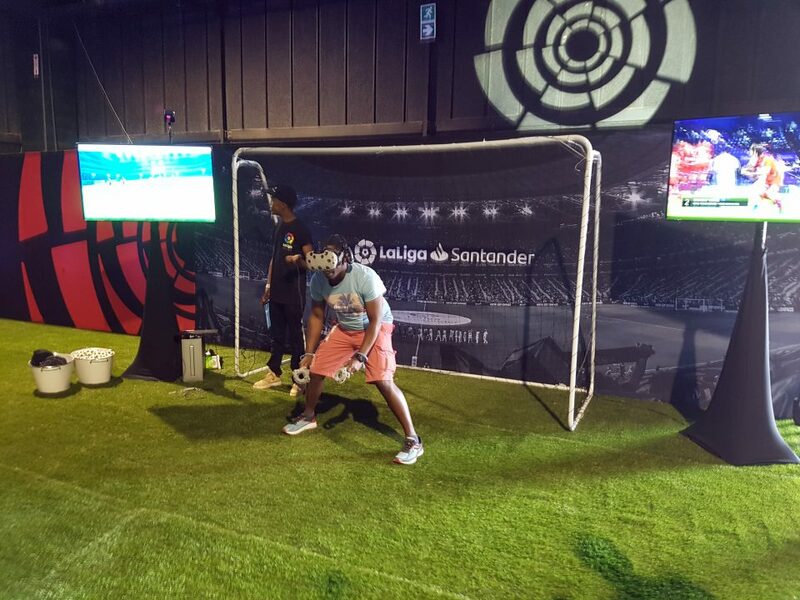 We used a commercially available soccer game for the event and gave people right there and then the experience of being on a soccer field and playing goalie in one of the worlds top soccer leagues. 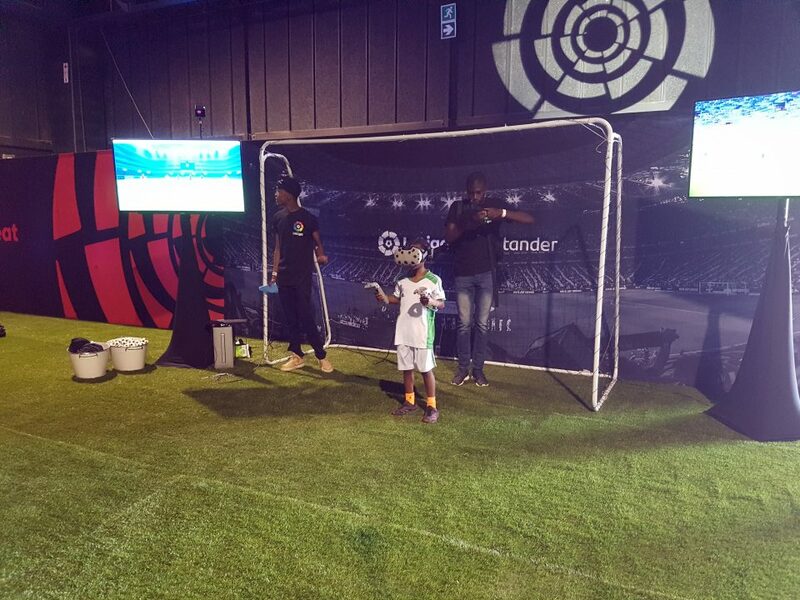 The players could also attempt to kick penalties. 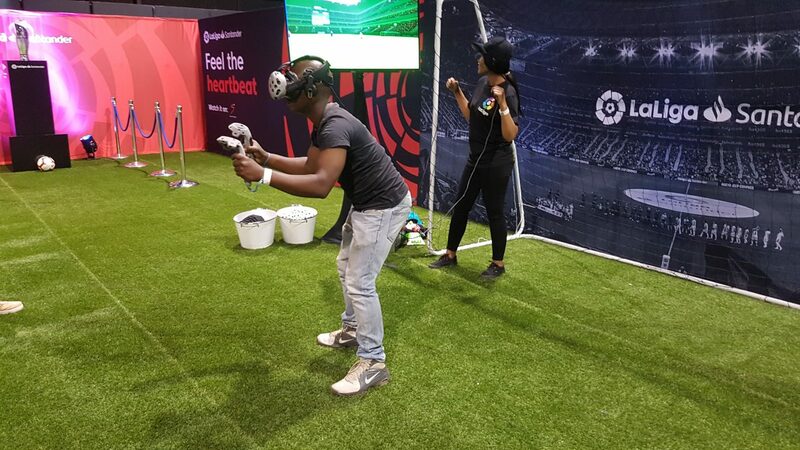 The Virtual Reality activation was a great success and people love it! 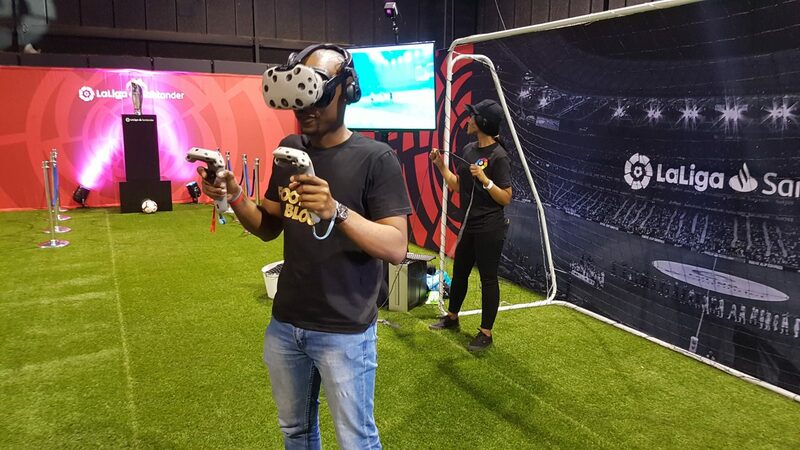 The virtual reality soccer stand was designed to fit the virtual reality theme. 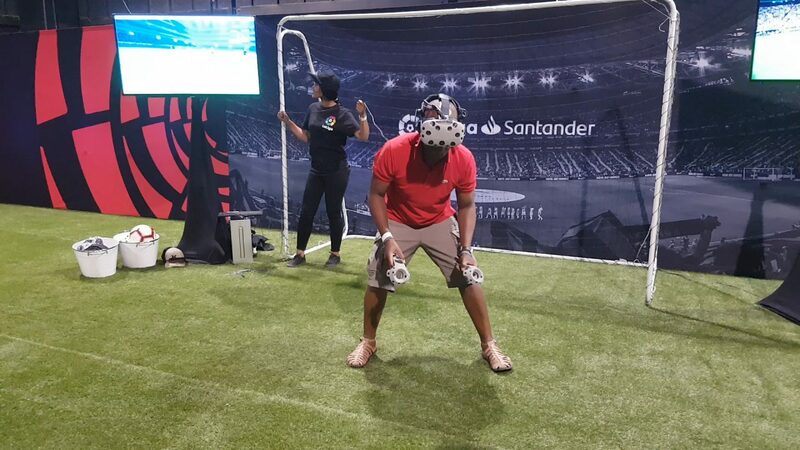 The player had to stand in front of the goals on the grass to play the game. 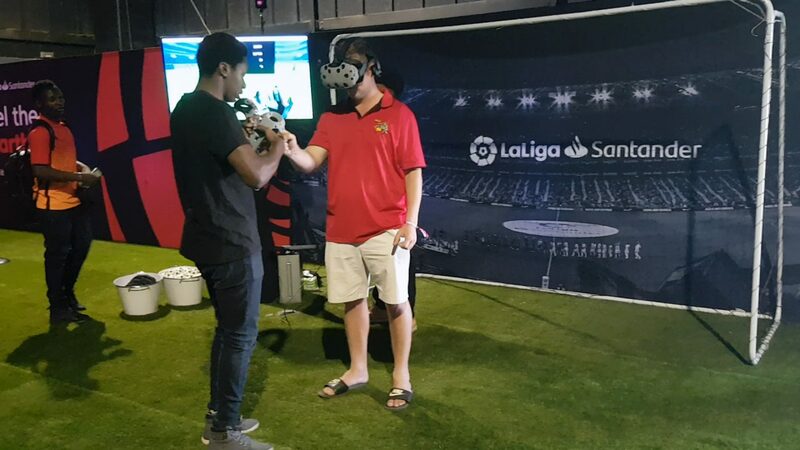 Bringing the concept together. 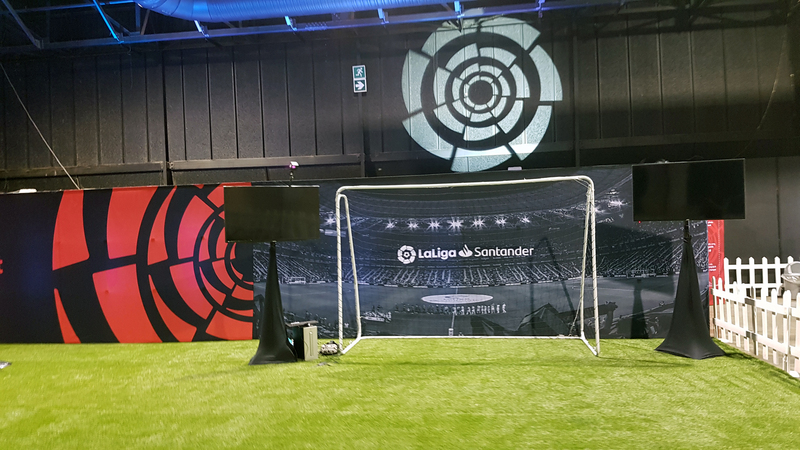 The LaLiga branding was strategically placed on the banner wall just behind the goal posts allowing for the brand to get exposure when people took photographs of the person playing. 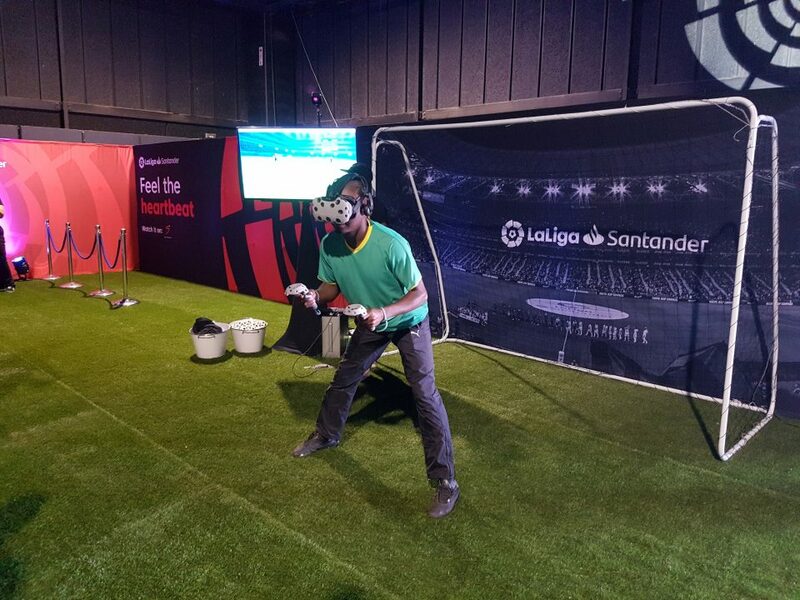 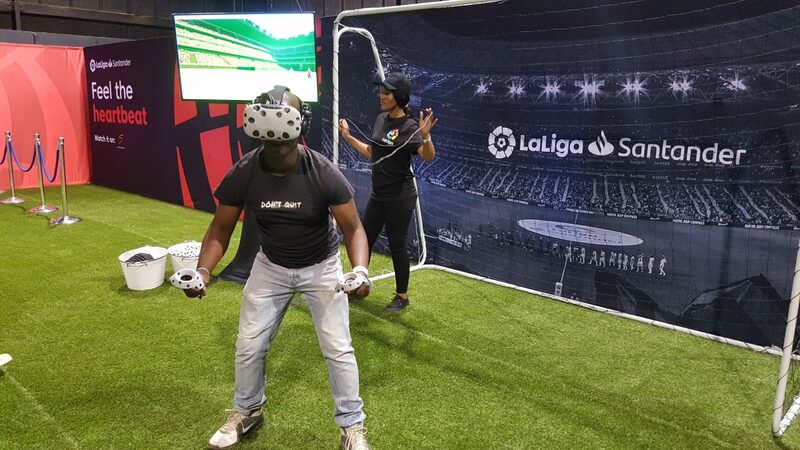 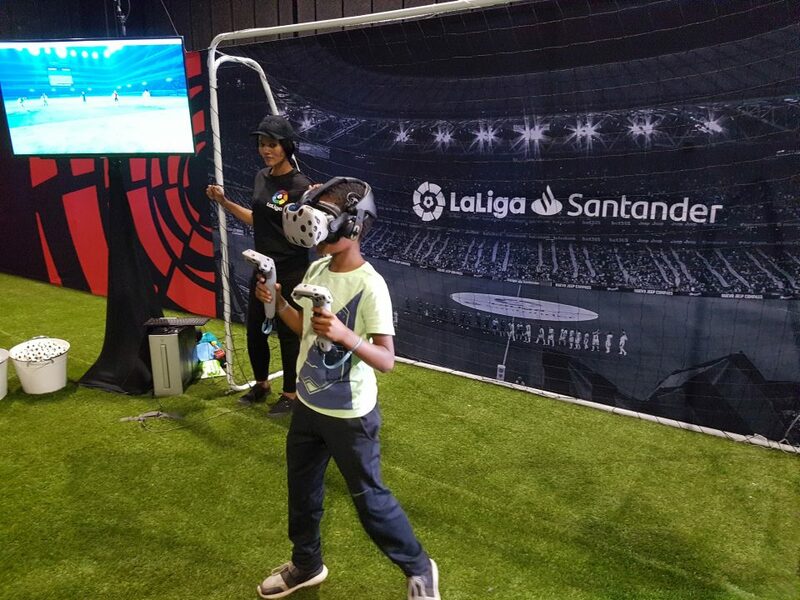 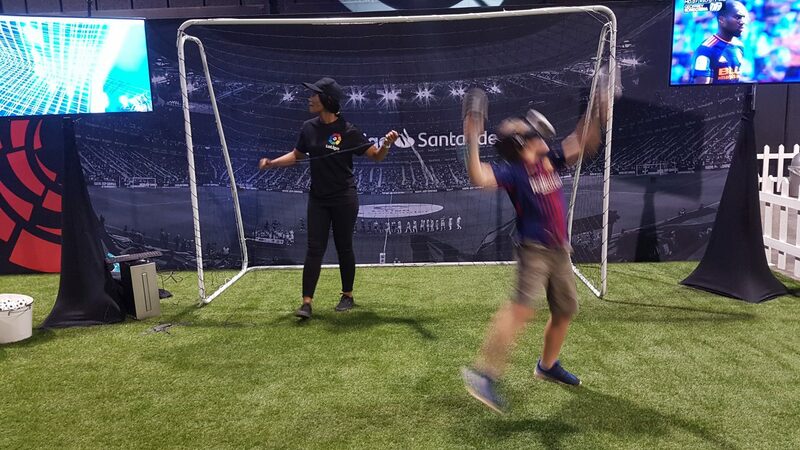 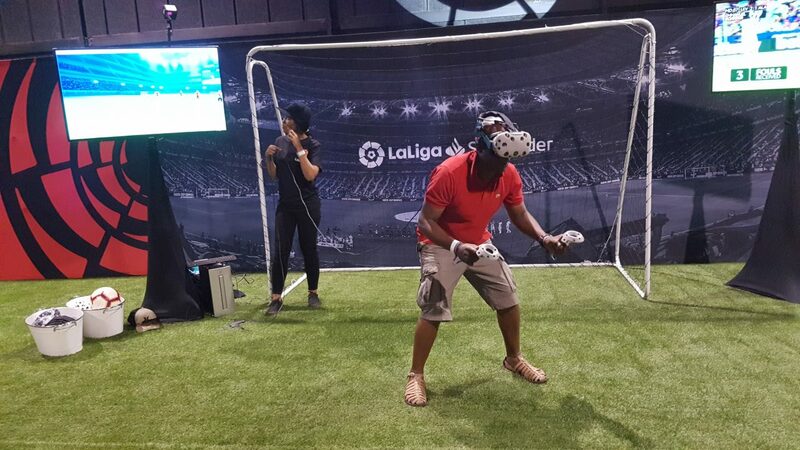 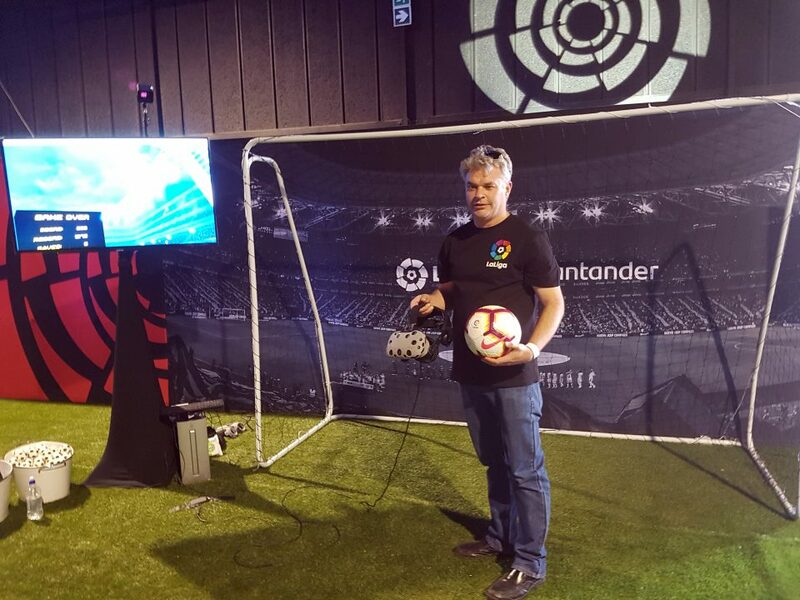 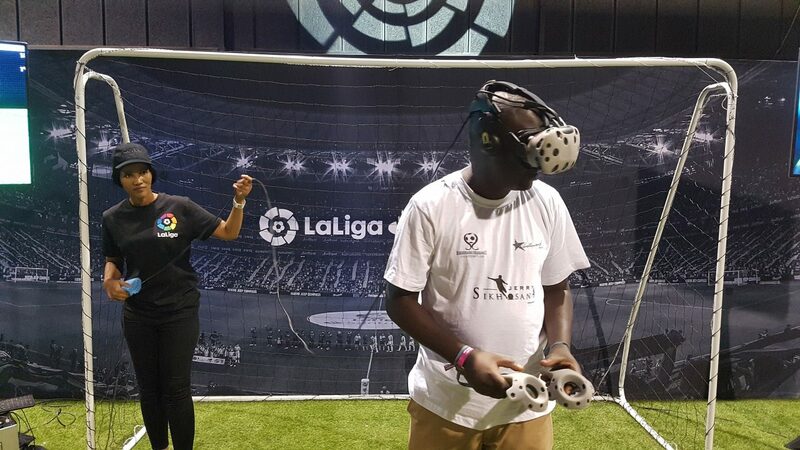 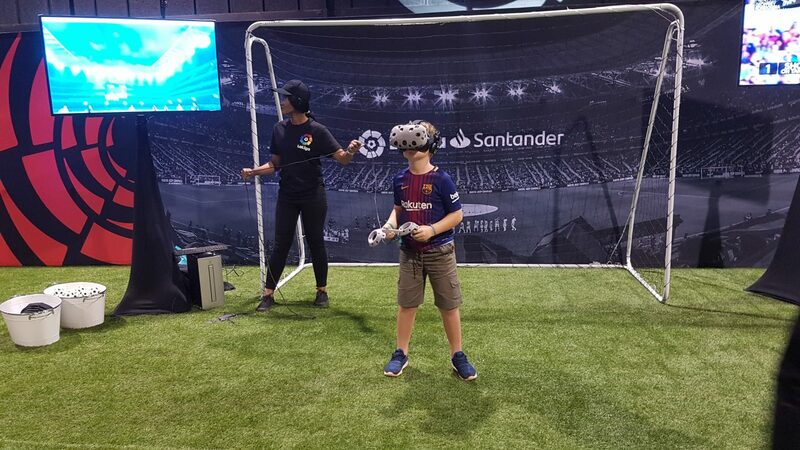 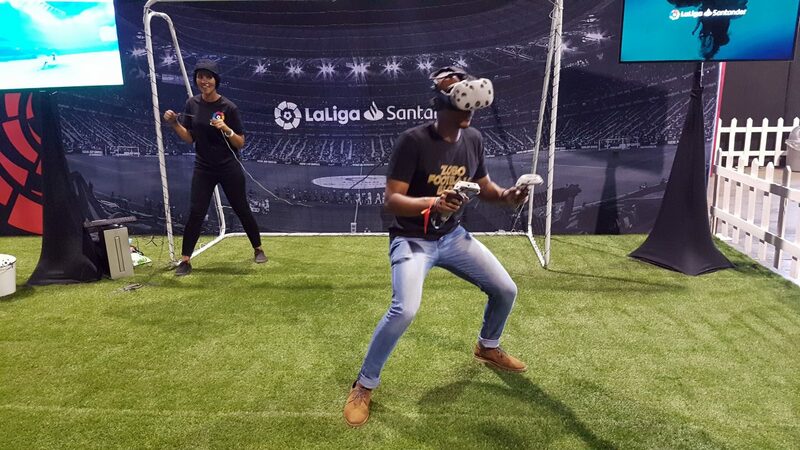 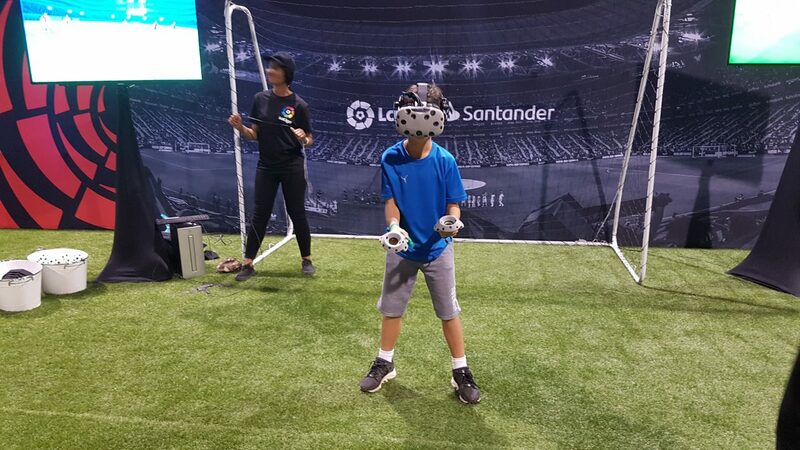 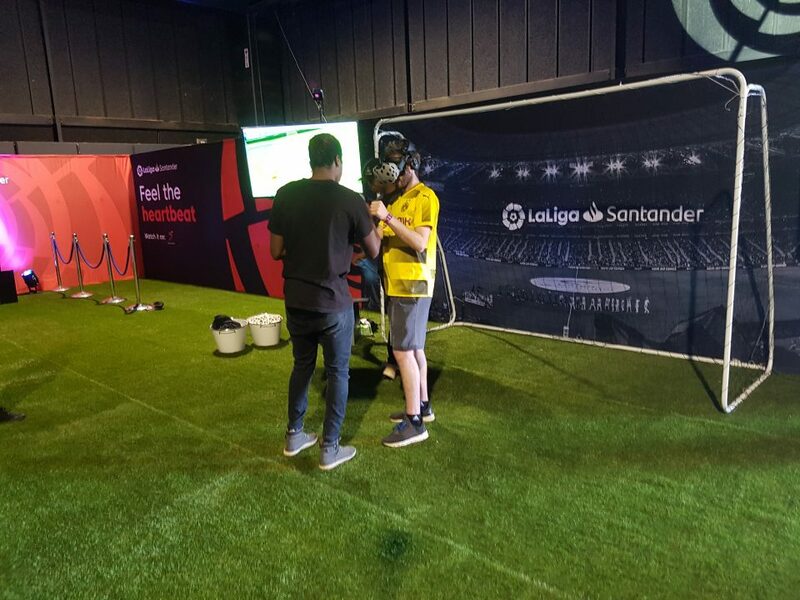 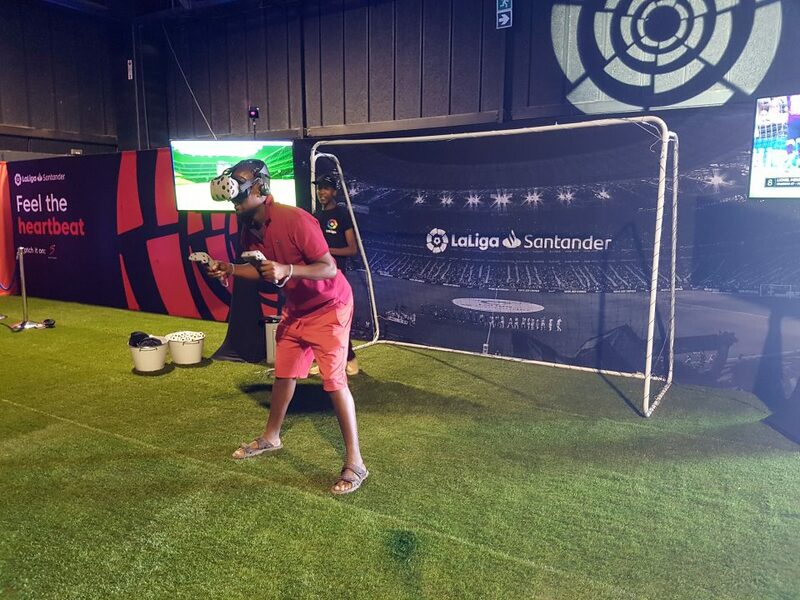 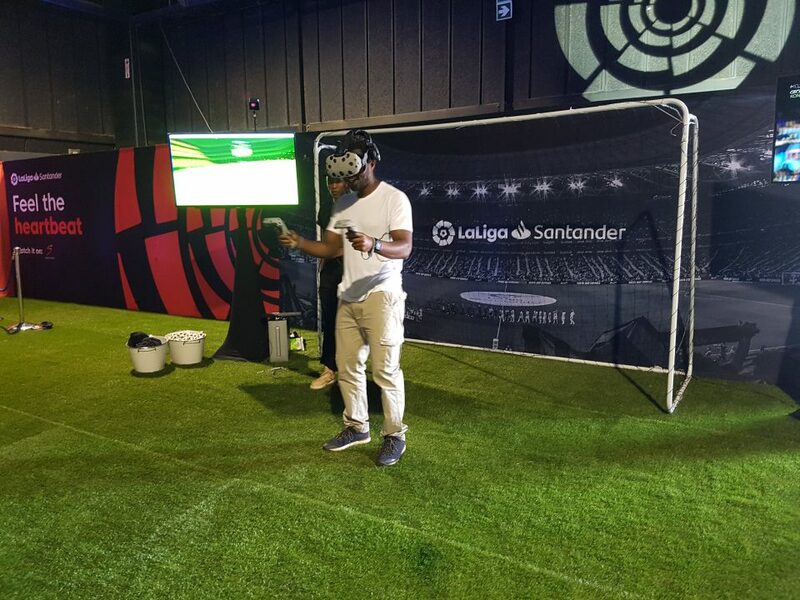 As part of the Virtual Reality Soccer stand we setup two televisions, one showing what the person is seeing in Virtual Reality and the other showing some highlights from the LaLiga soccer league. 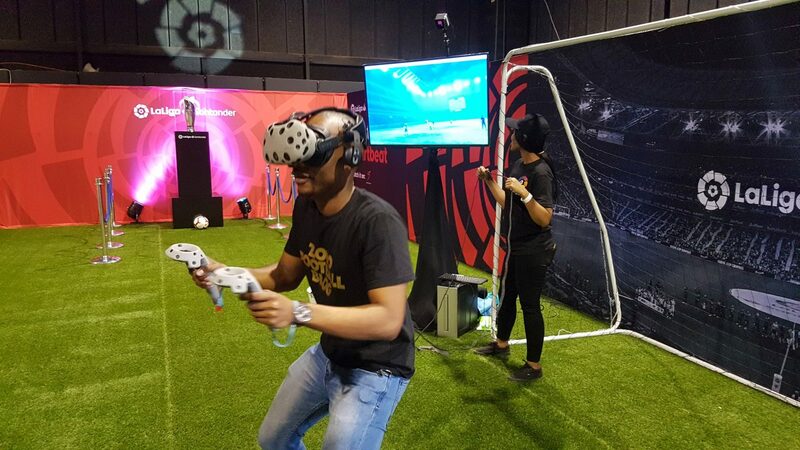 If you are planning a virtual reality activation or event talk to us, we can help you setup the experience and provide insight on what works and what don’t! 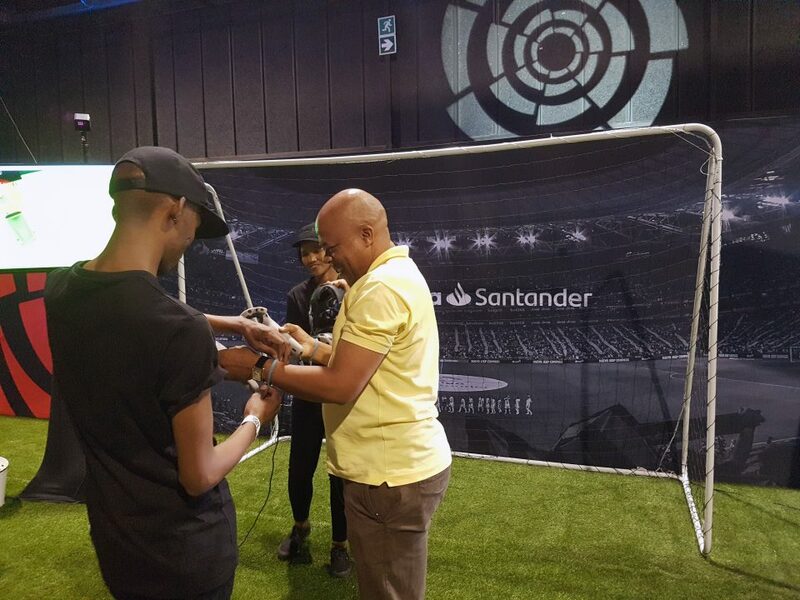 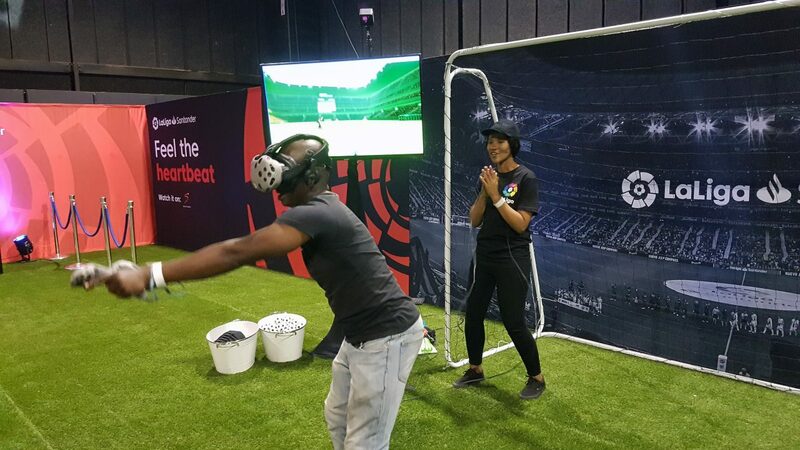 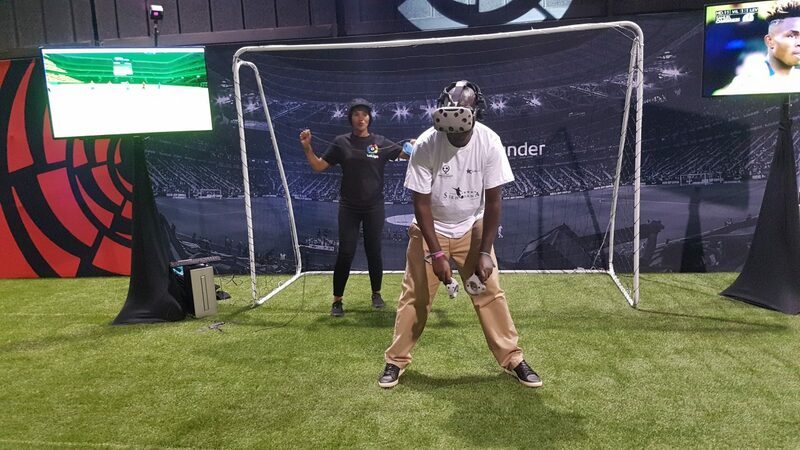 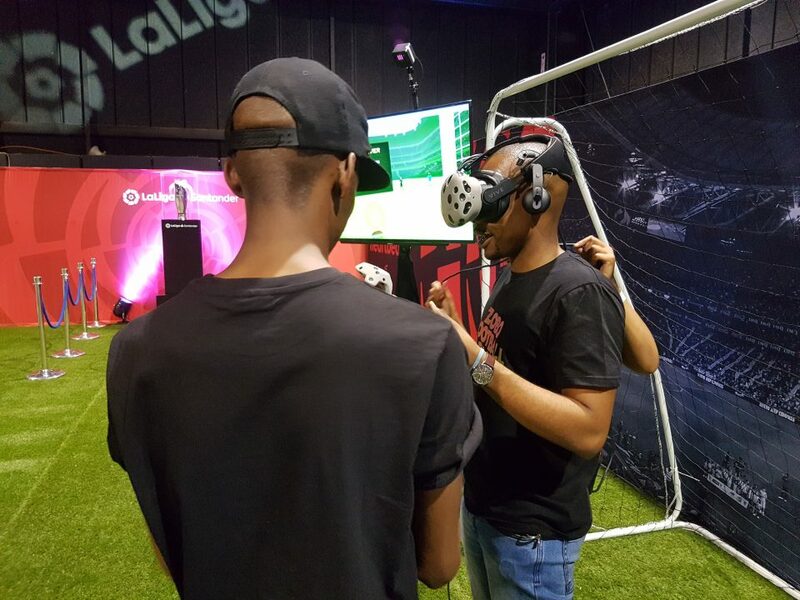 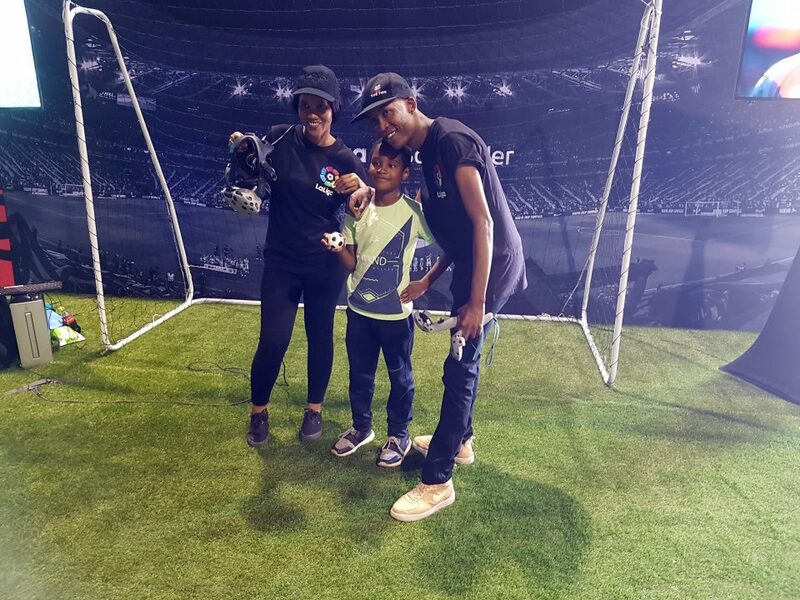 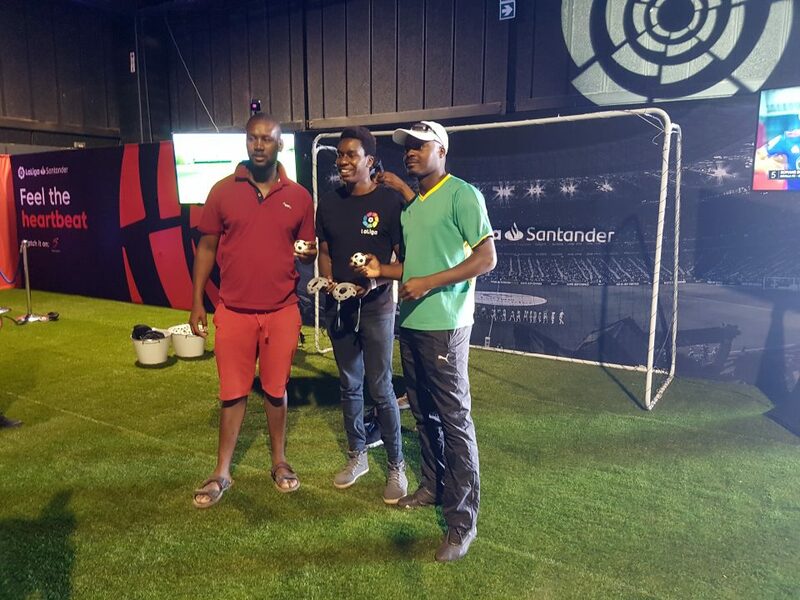 Below is some actual images from the Virtual Reality Soccer Game activation from Nasrec Johannesburg. 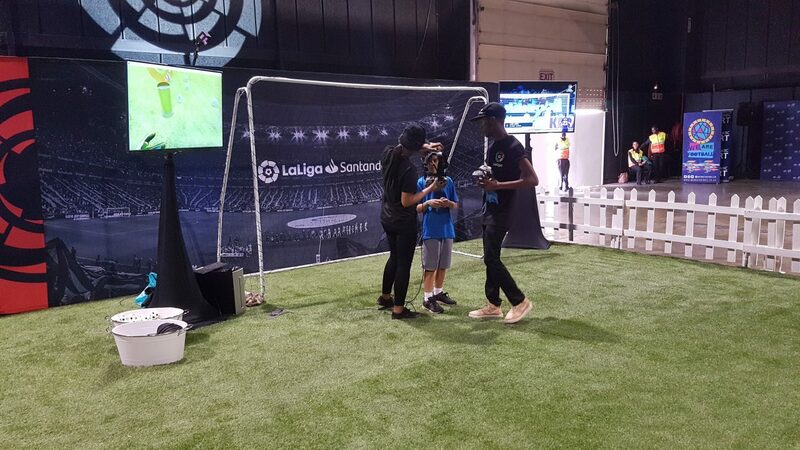 Fans enjoyed every moment of the experience!